If your knife dulls quickly… or your tomatoes turn to juice… or your fingers hurt when cutting... or preparation is a chore then then you are not alone. 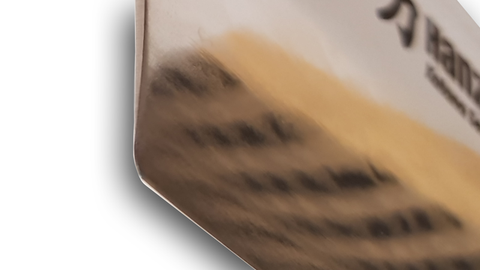 A knife made with inferior steel may need frequent sharpening and a dull blade may crush your food. Worse, a badly shaped grip can limit your technique or strain your fingers. 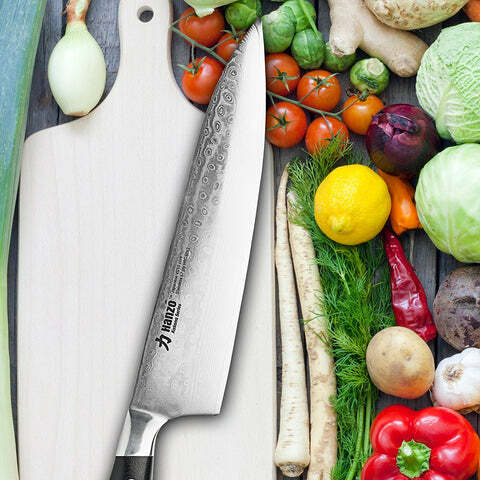 Are you one of the millions of chefs put up with poor quality knives everyday? If yes, it doesn't need to be like this. Fortunately there is Hanzo Katana, the superior knife for chefs. Our Japanese steel stays sharp 4x longer. 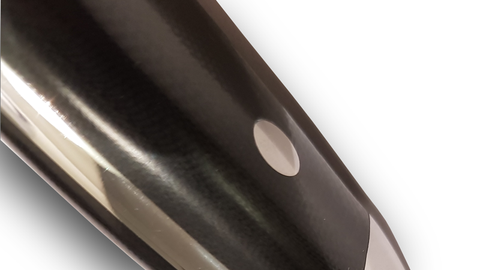 The custom handle is more precise and helps improve technique. 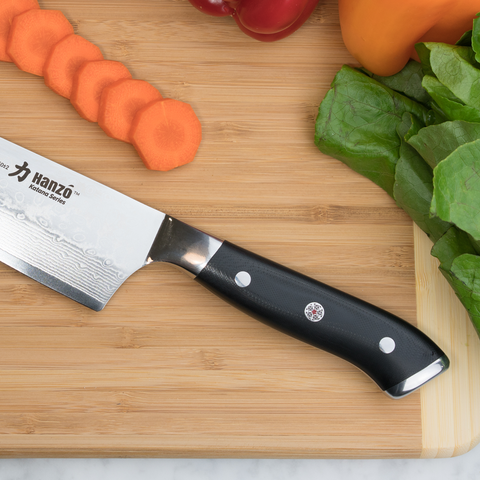 Less effort is needed when cutting, slicing or dicing which means you won't tire as quickly, thanks to our superior Japanese VG10 steel edge retention. 4x edge retention = less time maintaining the edge and more time expressing your creativity. 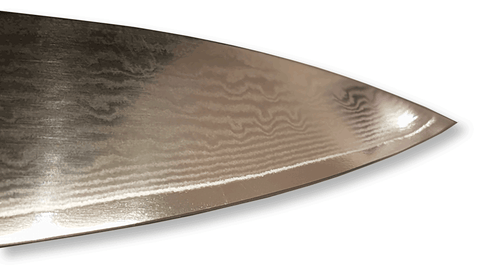 The Hanzo Katana edge is perfect for precise work thanks to the fine but tough blade. Excellent for accurate cuts and thin slices. Tomates are not turned to juice and your food is not crushed. Our handles feel firm to hold, without slipping or twisting. Every line, curve and angle exists for your comfort. Made from military technology, the G10 grip feels natural and will last for years. Our continuous curve shape feels like an extension of your hand, arm and imagination. 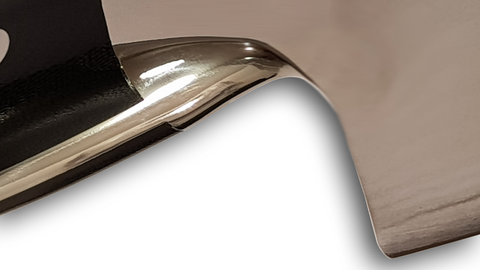 The polished bolster is excellent for pinch grip cutting and the pommel is great for smashing where force is required. All Hanzo Katana knives come with a 30 day money back guarantee. If you're not satisfied with the knife, for any reason, return it to us and we'll refund your money. Even more, we'll pay return postage so there's no cost to you.